When Can You Feel A Baby Kick? Feeling the baby move for the first time is an unforgettable moment. Since the beginning of the pregnancy, there is the knowledge that a little human being is growing inside. But it is the first kick that makes it all real. Not only is your little one growing bigger, but it is also literally alive and kicking. The first movements of a fetus are called quickening and may feel different for every woman. Some describe it as like having butterflies in the stomach. Other say it feels like twitching or even a tumbling movement in the stomach. If it is your first pregnancy, it can be even harder to identify it, as you would not know what to expect and maybe not as aware of it. During subsequent pregnancies, however, this can change and you can feel them much more quickly than with your firstborn. With most women, they notice the baby’s first kicks sometime between the 16th and 25thweek of pregnancy. First-time moms, since they may not be able to fully identify quickening, may feel it when they are closer to their 25th week. On the other hand, those who have had kids already may even start sensing them on week 13. 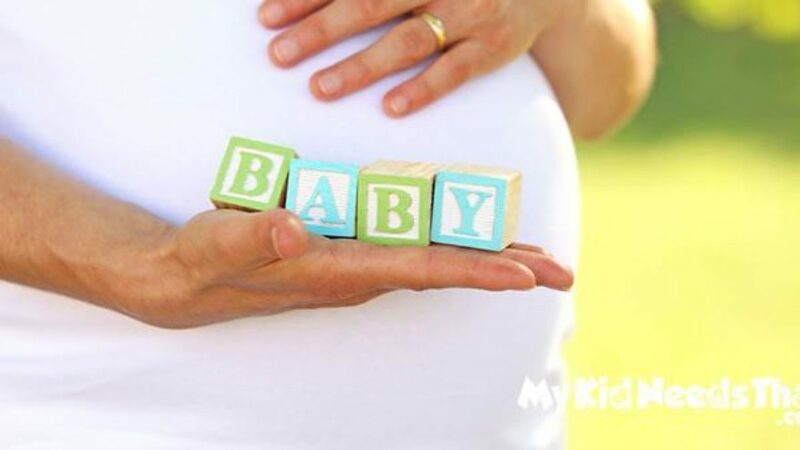 By the time the baby grows bigger and reaches the second and third trimester, the kicking becomes more pronounced and there will be no doubt that it’s that little one making its presence felt. Another factor that can affect feeling the baby’s movements is the placement of the placenta. If it is facing front, called an anterior placenta, it might make it difficult for the mom to feel those kicks. She might then have to wait a few more weeks until the baby is bigger and more active to really distinguish its twitching. It is truly exciting to feel the growing little baby inside the stomach. Actually, he or she moves quite a bit, but as he or she is still so small, mommy might not actually notice anything. As the weeks progress and the fetus becomes bigger, it also becomes more active and by the time the pregnancy is reaching its end, moms might notice kicks as often as 30 times hourly. There are some ways to catch the baby’s movements. This is because, like adults, babies have wake or sleep times. They also respond to certain stimuli, making them more active. First of all, they seem to like to wake you up just as you are sleeping, around 9 pm to 1 am. This might be because mom’s blood sugar levels change at this time too. At the same time, because you are relaxed and still, you can feel the little kicks more. During the day, when you are up and about, you might not be able to feel any movement. This is also because the activity lulls them into sleep. Second, babies might react or respond when you touch the belly, or when you talk to him or her. Even certain lying positions might evoke a response. As with adults, babies are unique and they may have their own schedules and triggers. Still, as the baby grows, mommies can recognize a pattern or certain things that cause the baby to move. Third, moms who want to feel the baby’s movements can try eating or drinking something sweet, as this may also have a sugar rush effect on the little one. Of course, you should still watch out for your sugar intake and nutrition, so you may go for orange juice instead of that chocolate bar. Some moms might even notice an ordinary meal as a trigger for some happy kicking and moving. Lastly, your child may also be sensitive to your emotions and your nerves might make the baby more active than normal. As exciting as it is to feel the first movements of the little one, new moms will discover soon enough that in a few weeks, it will become more common and stronger. As he or she grows, space in the tummy becomes much less, and every stretch or kick can be easily felt. The baby might even hit some organs, causing pain. In this stage, he or she may have hiccups, which mom will also feel. While this might cause some discomfort, it is also a continuous reminder that the baby is growing inside. Some doctors recommend monitoring this activity regularly to check on how the baby is. It is, of course, not 100% reliable in tracking the baby’s progress, because there are times when the fetus is less active or might even have turned away, making kicks less noticeable. Monitoring the kicks might still catch some pregnancy complications earlier, especially when the baby’s activity dramatically changes. Some experts recommend checking if the little one moves 10 times within 2 hours. It is best to do it when the baby is normally most active, but if the baby doesn’t seem to kick at this time, you may try it again later. Should this happen a couple of times, you might also consider calling your doctor so that the heart rate can be measured. If you consider tracking fetal movements, do it towards the end of the pregnancy, when the kicks become much more pronounced. By then, you would have an idea of the little one’s patterns and cycles. During the second trimester, mom might not yet pick up on every jab so the monitoring will not be reliable at all. Moms can start to feel their babies making their presence felt between the 4th and 5thmonth. If you feel nothing after the 24th week, make an appointment with the doctor to double-check on the little one. Otherwise, it is the perfect time to enjoy the miracle of life growing inside you. In fact, this can be the start of the close bonding of mom and baby, the future son or daughter’s first non-verbal communication with the parents.